Bruce and Jessica are natives of Mississippi. They both came to know Jesus in a personal way in high school, and it was during his junior year in high school that he felt God’s call to ministry. Bruce has served in ministry for the past twelve years in various roles of student ministry and as a pastor in churches in Tennessee, Alabama, and Mississippi. He desires to be faithful to the Word of God, and he has a heart for preaching, missions, discipleship, and families. He married his high school sweetheart, Jessica, in 2003, and they have four children (Kati, Isaac, Eli & Emerie). The family enjoys traveling and the outdoors. Bruce enjoys hunting, spending time with family, and taking Jessica on dates. Bruce holds a Bachelor of Arts in Biblical Studies from Blue Mountain College, a Master of Divinity and Doctor of Ministry in Expository Preaching from Mid-America Baptist Theological Seminary in Memphis, TN. The Crockett family moved to Columbia Falls, MT (CFalls) as part of a team in August of 2016 to plant a church. Our journey to Montana took almost two years to become a reality, but we are nervously excited about what the Lord is going to do here in our town. The Lord directed us to CFalls because of the “hometown” feel we experienced in July 2015 while praying through the Flathead Valley. We desire to be faithful to share the gospel with people and see Jesus change lives and disciple them on their journey with Christ. 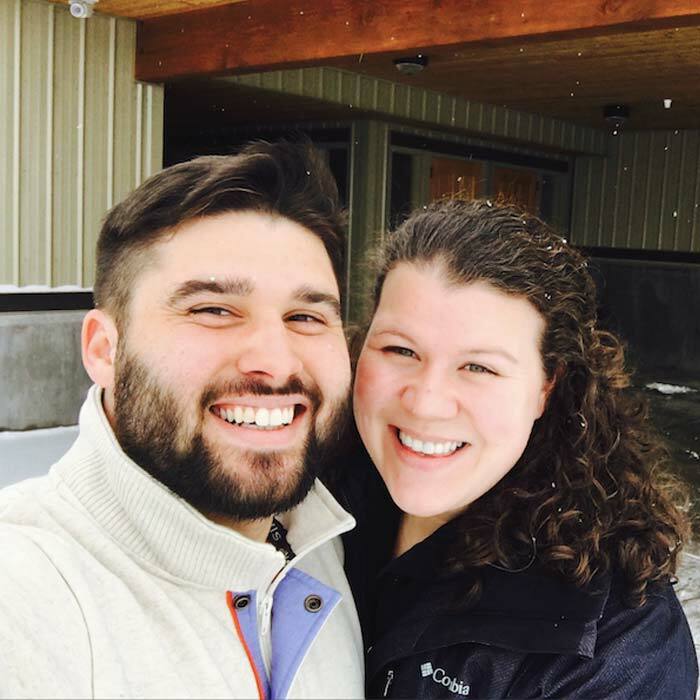 Please pray for Bruce, Jessica and their family as they seek to establish roots in Columbia Falls and accomplish God’s work in Columbia Falls, MT. Bruce and Kyle give an introduction to Columbia Falls, why they chose the name “Gateway Church,” and their ministry philosophy. Kyle and Marisa landed in Montana in August of 2016. They have been married for three years and have enjoyed different ministry opportunities together. God has given them a passion to preach Christ where He is not known! Kyle is originally from Tennessee. He grew up in a Christian home and came to follow Jesus at a young age. During high school, Kyle sensed the call to ministry. Kyle has served in the ministry in various roles over the past six years as a summer missionary, internships in student ministry, resident church planter, and most recently as a children/ missions pastor at a church in Memphis, TN. Kyle holds a Bachelor of Arts in Biblical Studies from Blue Mountain College, and a Master of Divinity in Missions from Mid-America Baptist Theological Seminary in Memphis, TN. God has called us to a unique place at a unique time. It all began in 2014 with a joking text message to go to Montana to plant a church and came to light in 2015 through prayer, a fun vision trip, and many ups and downs along the way. Now God has made it clear to us that our calling is to go to Montana and specifically to Columbia Falls to share the gospel, make disciples, and plant a church. God has called us to embark on an epic journey of obedience to Him. Our desire is to declare His glory among all peoples. Our desire is to see multiplying communities of Jesus followers across the Flathead Valley, the state of Montana, the United States, and the World.